LOCATION - Off Rt. 220, one mile south of Petersburg, Grant County, On the right hand side of the road, 194 Farnsworth Rd. HOLIDAYS CLOSED - New Year's Day, Memorial Day, Fourth of July, Labor Day, Thanksgiving Day, Christmas Day. All other holidays open regular hours. PERMITTED MATERIALS FOR DISPOSAL - Municipal and household solid waste, trash, garbage, rubbish, commercial and industrial refuse, appliances and other bulky metals, bulky items such as mattresses, couches, etc. ITEMS ACCEPTED FOR RECYCLING - Tires (for a small fee); TV's, computers, various metals. PROHIBITED MATERIALS - Free liquids, lead acid batteries, paint, and other hazardous materials, explosive, asbestos, toxic, radioactive, infectious, or medical waste, all other materials prohibited for disposal in municipal solid waste landfills by Department of Environmental Protection regulations. FEE SCHEDULE - Public Service Commission assigned rate of $81.85 per ton, which includes the State combined assessment fee of $8.25 per ton. Your vehicle is weighed in. After dumping, your vehicle is weighed out. You are charged for the actual weight of materials disposed. MINIMUM FEE - $10.00; this equals about 240 lbs. of solid waste. PAYMENT - Cash or check, payable at the time service is rendered. A charge account can be established with prior approval of the Solid Waste Authority Office. At this time we are unable to accept credit cards. 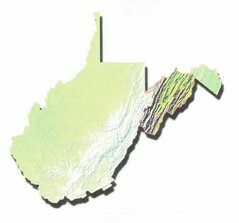 OTHER - Free day is provided at the Tucker County Landfill only. It is offered on the first Thursday of each month from 8 - 4 for residential waste only. It is near Thomas, WV.